SCI Ontario is an ongoing, life-long resource for people with spinal cord injuries, their friends, families and service providers. We assist people in rebuilding their lives after their injury. SCI Ontario has been developing our expertise since 1945. We are the only provincial, SCI-specific, community service organization that is of and for people with spinal cord injuries. 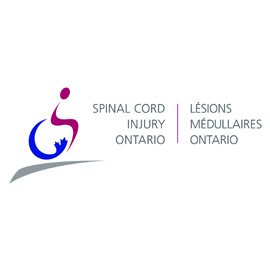 The importance of our work is emphasized by the facts that every day, at least one person in Ontario sustains a new spinal cord injury and 33,000 people with spinal cord injuries live in our province. SCI Ontario offers programs and services across Ontario to include Attendant Services (GTA only), Employment Services (Toronto only), Knowledge Enterprise, Membership, Peer Support, Public Policy, and Regional Services. We are unique in that we value the lived experience of spinal cord injury and that coupled with the clinical expertise of our staff and partners offer services from an holistic perspective.